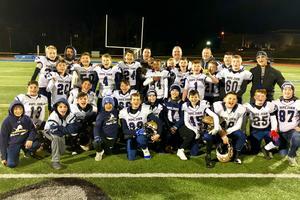 For the second straight season, the Jr Lions have captured a regional championship and will be playing at a national tournament after winning the American Youth Football Big East Regional championship and earning a spot at the American Youth Football National Championships. SPARTA — Winning a regional championship and appearing at a national tournament are supposed to be difficult accomplishments to achieve. However, the Pope John Jr Lions 11U football team is making it look easy. 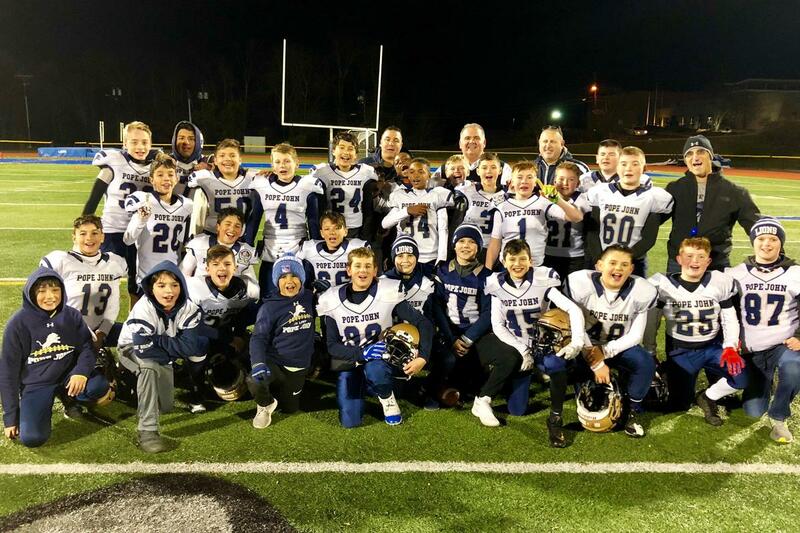 For the second straight season, the Jr Lions have captured a regional championship and will be playing at a national tournament after winning the American Youth Football Big East Regional championship and earning a spot at the American Youth Football National Championships. The Jr Lions will look to become the first New Jersey 11U team to win the AYF National Championships, which will take place from Dec. 2-7 at Austin-Tindall Park in Kissimmee, Fla. Regardless of how they will perform during the national event, they are already proud to have made history for the Jr Lions once again, considering they have only been together for two years. 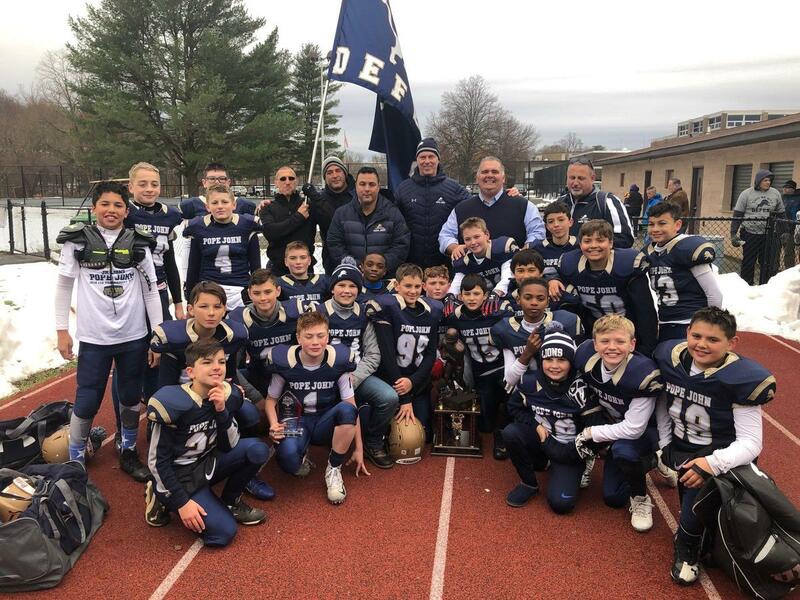 “Our boys have been winning all season against teams that were much bigger and faster,” Jr Lions Program Chief Administrator Shelley Zambardi said. “It’s because our Jr Lions are playing 'team first' football. They are disciplined, focused and giving their all for each other. Our Jr Lions football acumen is also irrefutably and extremely high by youth program standards. I credit our seasoned coaching staff, our school-based structure and our emphasis on Faith, Family, Football, in that order. We pray together. We play together. Together is key."